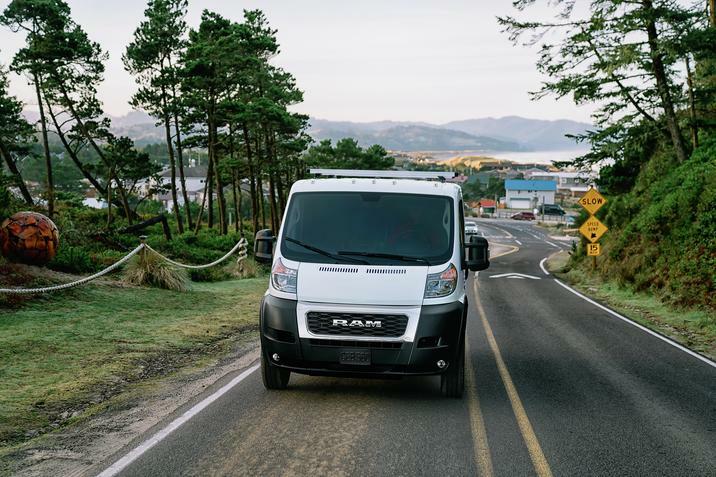 The 2019 RAM ProMaster arrived in Albuquerque New Mexico with a number of amenities that drivers will like. The vehicle positions itself to be one of the most popular commercial vans on the market. Businesses can rely on its smooth handling and utility when transporting cargo. 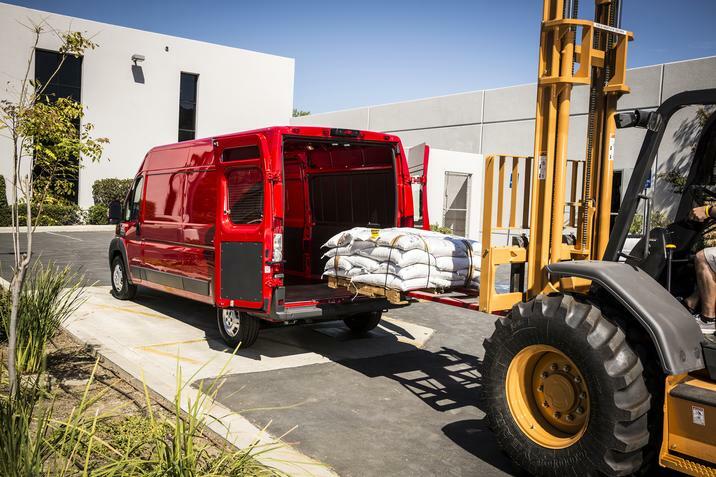 The ProMaster can boast the highest payload of any vehicle in its class. Add to that an increased towing capacity, and this vehicle gets the tough jobs done. The 2019 ProMaster in Albuquerque also has a refreshed look. The vehicle features its brand name across its front fascia. The manufacturer added three new models to its lineup. New interior LED lighting adds additional brightness. Its new technology is also impressive. The great thing about the Ram ProMaster is that owners can configure it to their liking. They can design their model with special graphics, text, or images. They also have full control over how they decide to advertise their product or service. Products can easily load and unload from the back or side. The front and rear fascia have durable materials that operators can remove to service the vehicle. Engineers designed the ProMaster so that taillamps and headlamps face away from impact zones. Owners also like that the vehicle's side panels mount low to help avoid irritating dents and dings from curbs. Additional standard exterior feature include a 16-inch steel spare wheel, LT225/75R16E BSW tires, and wheel center caps. Front clearance lamps, halogen lamps, rear clearance lamps, ProMaster read door badge, and a ProMaster side door badge are also standard features. Drivers and passengers can remain connected while on the road with Uconnect 3 NAV that includes a 5-inch touchscreen, Integrated Voice Command, Bluetooth capabilities, SiriusXM, Streaming Audio, and more. Flexible seating for driver and passenger is an additional benefit that allows drives to swivel 180 degrees. Generous passenger and driver legroom make for a comfortable ride. The ProMaster is workstation for on-the-go use. Like the 2018 ProMaster, the interior walls all angle at nearly 90 degrees. This makes the interior great for stacking materials and supplies along with additional racks. There is also plenty of additional floor space that comes with tie-downs. 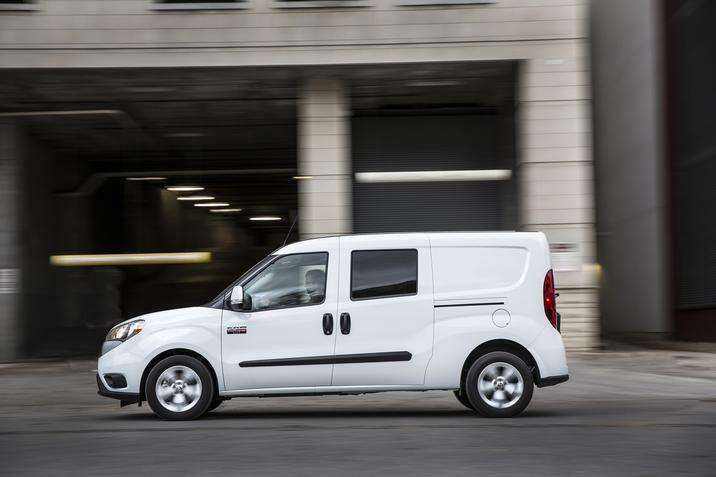 The ProMaster also provides the largest cargo width of any van in its class. The 2019 RAM ProMaster in Albuquerque features a 280 horsepower engine that pairs with a 3.6-liter V6 six-speed automatic transmission. This is enough engine power to get drivers quickly to and from destinations. Light-duty suspension is standard and consists of a MacPherson w/stabilizer bar in the front, and a solid axle with leaf spring in the rear. 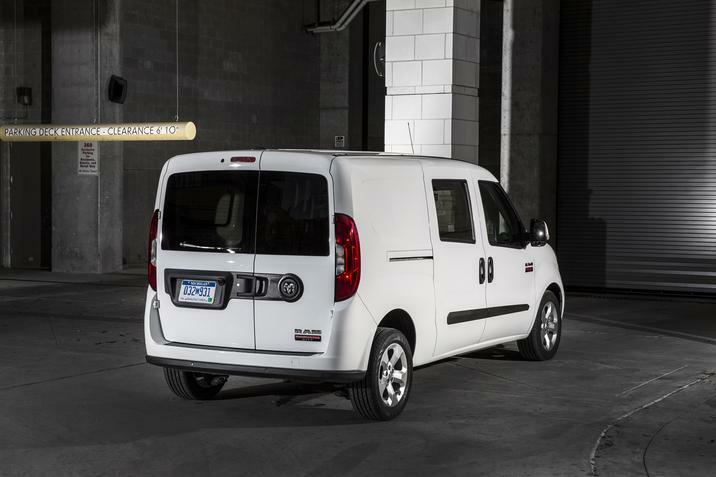 The ProMaster features a standard rear backup camera and rear parking assist that enhances visibility when backing up. Software, advanced technology, and sensors keep drivers in control and informed when backing up. Electronic stability control keeps the car in check in all types of road conditions. Drivers can also depend on the trailer-sway technology and all-speed traction control. Many drivers consider a vehicle's warranty when choosing a utility vehicle. 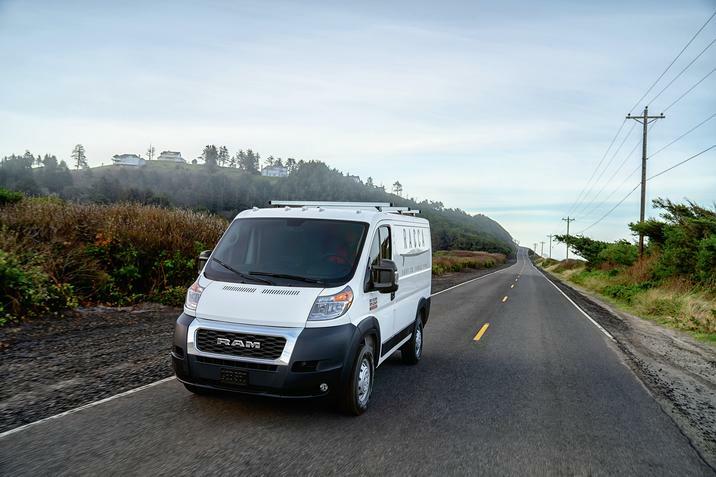 The ProMaster in Albuquerque New Mexico offers a three-year 36,000-mile limited warranty, and a five-year 60,000-mile gas powertrain limited warranty. One of the best ways to test the 2019 ProMaster is to schedule a test drive at Melloy Dodge in Albuquerque, New Mexico. Test drive for power, safety, handling, and overall utility. Ask about warranty options and RAM ProMaster lease specials. Test drive a 2019 RAM ProMaster in Albuquerque today. Melloy Dodge takes pride in serving Albuquerque Los Lunas Santa Fe customers.